….just in time for Mothers Day! Vicki Leigh’s polymer clay pearls are light and bright and can give you a handcrafted funky twist to a retro classic. Jackie O/Kennedy was famous for her pearls and was responsible for their resurgence in popularity. Now we have access to new polymer-based materials which are making it fun to play with conceptual sizes and shapes without natures lengthy delivery times. I hope you enjoy the new designs and feel free to get in touch with any bespoke ideas. All online sales are made-to-order to avoid waste and make each piece customisable (time frame permitting). 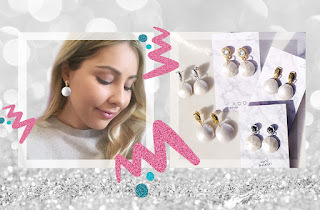 Posted in blog, earrings, markets, other and tagged earrings, markets, melbourne, next romance earrings, pearls, polymer pearls, unique earrings.